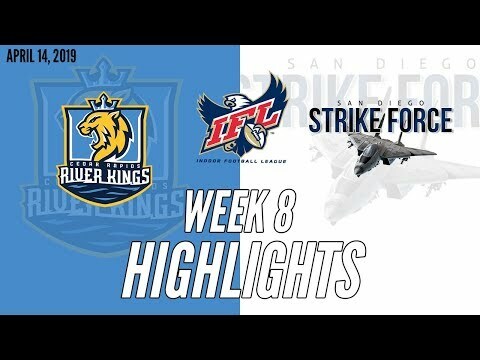 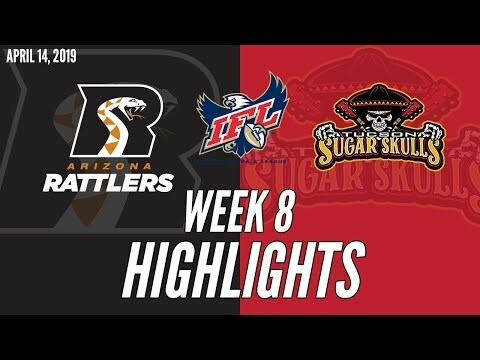 The San Diego Strike Force won their first-ever game 40-34 over the Cedar Rapids River Kings in Week 8! 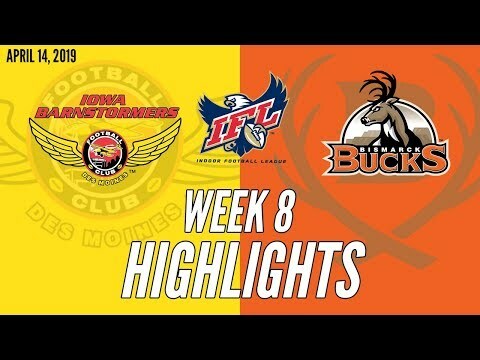 The Iowa Barnstormers move to 6-0 on the season after shutting down the Bismarck Bucks 55-16 in Week 8. 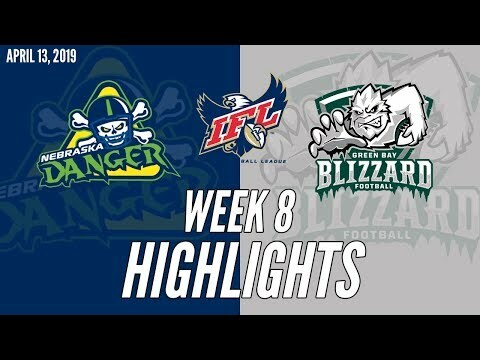 The Green Bay Blizzard won their fourth game in a row as the team took down the Nebraska Danger 60-50 in Week 8! 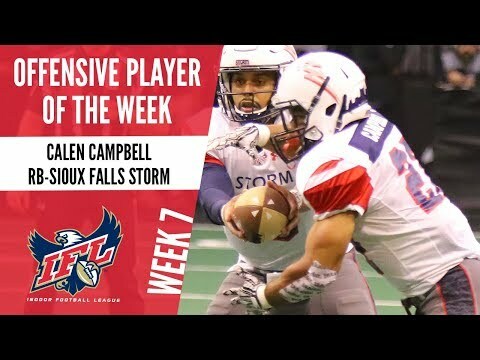 After rushing for 110 yards and four touchdowns, Sioux Falls Storm RB Calen Campbell has been named the Week 7 Offensive Player of the Week!